Port authorities are expanding their focus to industrial development in hopes of attracting more factories and distribution centers to their area—and their cargo services. These are still dark days for the country's real estate market. But on properties near many U.S. seaports, the intensifying glow of electric lights around new factories and distribution centers (DCs) creates a brighter picture. Vacancy rates on industrial properties near seaports fell by 1.4 percent from 2010 to 2011, reaching 8.5 percent, according to a study published in summer 2011 by Chicago-based real estate services firm Jones Lang LaSalle. That compares with a 9.7 percent vacancy rate for industrial real estate in general. Demand for property near airports is picking up, too. Companies seeking locations for warehouses and DCs, especially near seaports, are fueling much of this growth, says John Carver, head of the Ports, Airports, and Global Infrastructure team at Jones Lang LaSalle. 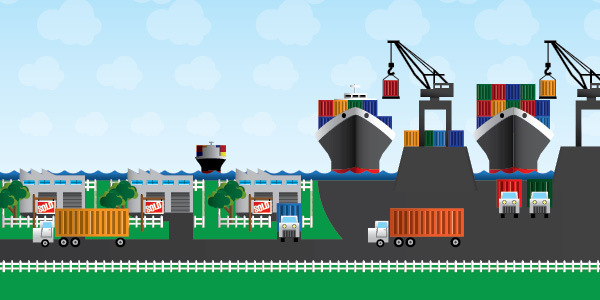 Businesses need more logistics space because they're moving more cargo. And ports are getting ready to handle even heavier volumes.